I had the BEST weekend with with family (in my hometown) last week. A major highlight was getting the opportunity to lead a family workout in my brother’s front yard. I feel inspired to share it with you in hopes to spread LOVE and Fitness. My brother (Zach) lives 25 minutes from town so going to the “gym” was not an option. We found 2 tires (with rims) laying around, cardboard, 4 kids willing to participate, and a dog! The set up is simple and it can be done anywhere really- all you need is space for 50 meter sprints. The video below makes me laugh, smile, and reminds me how much fun it is to exercise with family and friends! I had a similar workout with my husband’s family on Christmas last year and it was such a great way to bring everyone together. This workout is a great example of how we can incorporate exercise into our day even when traveling or out of the “normal” routine. It is also a great way to bring family and friends together. Your kids will LOVE it! 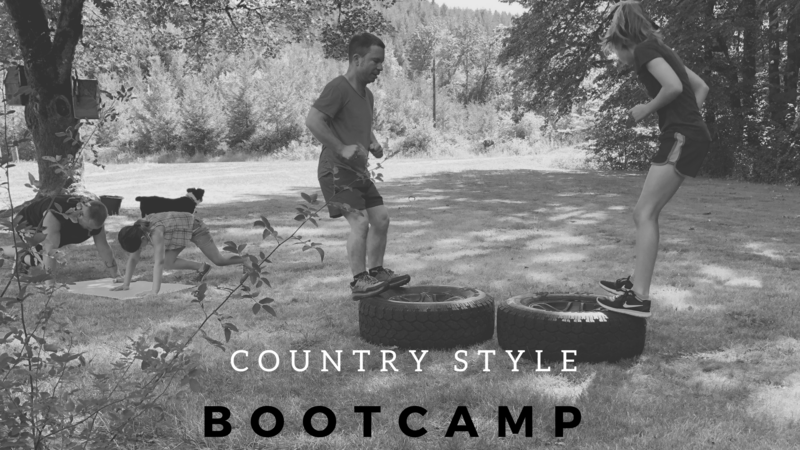 How to workout in the country with family and friends. Very little equipment needed and such a great way to bond with your loved ones. Of coarse you don’t have to be in the country to do this- You can do it anywhere and you can even do it alone and time each station for 1 minute. Cheers to HEALTHY fun with family and friends!